Think globally, drink locally. Check out these local craft soda's made in Chicago! Hop Pop is a hop-infused soda pop available only in Chicagoland area (as of January 2017). This non-alcoholic, caffeine-free soda has a bitter, hoppy characteristic and is a great non-alcoholic option for beer lovers or as a mixer. Hop Pop has recipes to pair its hop soda with any spirit you choose. Pop Quiz: Which came first, Green River Soda or the Chicago River dyeing tradition? Prohibition forced beer brewers to reinvent, and Schoenhofen Edelweiss Brewing Company became Green River in 1919 (whereas the plumber's union first dyed the river green around 50 years ago). Both are still Chicago staples, particularly in March for the St. Patrick's Day Celebration. Green River is a lime-based soda with a hint of lemon, and is now bottled by Clover Club Bottling. 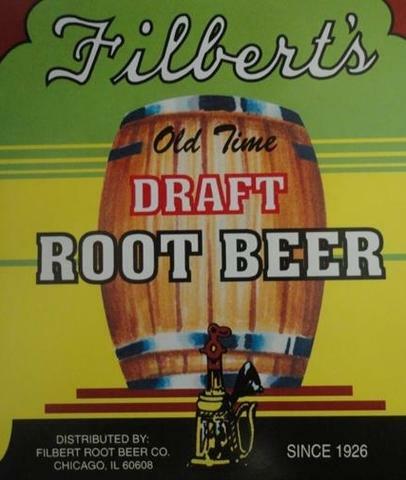 Prior to creating their famous Root Beer in 1926, the Filbert family delivered milk and other necessities to Chicago families. Now Filbert's has 25 flavors, including a ginger beer collaboration with beloved Bridgeport beer bar Maria's Packaged Goods. WBC is most well known for its Chicago style craft root beer, but cream sodas and other flavors are also available. Green Sheep packages its still and sparkling water in aluminum cans to reduce environmental impact. Green Planet bottles its natural spring water in a 100% recycled plastic bottle. Napa Hills Vineyard Enriched Water Beverage is a Chicago based and founded company that provides a healthy (or healthier) alternative to juice and alcohol by making, essentially, an alcohol-free wine water which uses their proprietary blend of natural antioxidants VitaRes™, giving you the same health benefits as moderate red wine consumption without the calories (low-cal/calorie free) or the hangover (yay, no alcohol)!